The Holy Spirit uses zoe always in connection with eternal life, the divine life, the life that comes into the spirit of the believer. Psuche is never used in that sense. Bios is never used in that sense. If thinking men could just discover what I am giving to you, if our scholars and our great teachers would carefully analyze the thing I am giving you, it would shake the foundation of biology absolutely. Do you know, brethren, there isn’t any chance for a man to be a skeptic if he knows anything about the Bible? Skepticism is simply ignorance gone to seed. But let me say it again: A man is skeptical about a thing that he doesn’t know. You are not skeptical about a thing that you do know. “Oh,” a fellow says, “you cannot know anything about that.” Well, that is not me. I can and do. I have been studying this marvelous Book for more than forty years. For twenty-seven or twenty-eight years, I have been using analytical studies or scientific methods in the study of the Scriptures; and I have arrived at the place where I absolutely know that this Book is not a human production. No human being could produce it. I want to tell you, people, that the man who believes this Book and gives a little time to analytical studies, knows that he believes something that no human mind could produce. It is a supernatural book. Someone says, “No man believes in the supernatural now.” I want to say that all the sensible people do believe in the supernatural. It is those little, narrow-minded folks that knock miracles. Big men, real men, men who are thinking through, men whose thumb or finger is upon the pulse of universal consciousness, absolutely know that miracles are demanded by universal man. Do you know that these fellows who have only half thought through, who have walked around the truth and never gone through it, don’t know what they are talking about? If you want to master a thing, think through it. I know it will make your brains sweat, but brain sweat is the sign of genius. Real men sweat in their brains. Now, eternal life is the biggest problem of the human experience. If I wanted to give a great oratorical address, there isn’t any subject that would intrigue me and challenge me like this. Let me show you what I mean. The only man who wants to die like a beast is the man who is living below the beast. Real men want to live. Real men rise in rebellion against the very thought that death means extinction. Ladies and gentlemen, I have only begun thinking. I have only begun living. If I could have fifty years more, I could do something. But, I am going to have an eternity, and I am going to associate with all the princes and the queens and all the great men and the great women of the ages, eternally. A few years ago, people asked me to preach on heaven, and I said, “No, I guess not. It is more important that I preach on the present.” And I went away, but the idea kept growing in me. I do not know why. I have always been popular in preaching funeral sermons. Folks want me to come and say pretty things. I found out that the book of Revelation has a new heaven and new earth. I found out that God majored on the subject of heaven. The reason is this: we are eternal beings. You may fiddle around about it all you have a mind to, but you are eternal. You may have philosophical and metaphysical religions; yet, when it comes down to the real heart of things, you will want a religion that is not man-made, and you will want a religion that gives a safe bridge across from time into eternity and makes heaven an absolute surety. I said that the only man who wants to die like a brute is the man who has lived lower than a brute. Do you know, men and women, that Christianity is the only religion among all the religions of the world that gives a clear conception, a clear teaching, about heaven? Why? All the old religions of the world are human religions. What do I mean by that? They are religions that have been born in the mind of a man. Christianity is born in the heart of God the Father. The eternal life fact is the greatest fact of human experience. Universal man has craved it. Drinking the blood and eating offerings came because the heart craved and reached out for it. It is the parent of all religions. Kings took the names of their gods because they wanted union with God. Man has wanted union with deity through all the ages. Theosophy, which claims to be the consummation of all religions, has as its basic thesis this statement: all men have God in them; all men have union with God. That is the basic thesis of Theosophy. That is not true, but Theosophy has gathered all the cry of universal man and attempted with human philosophy to answer that cry. Jesus came and answered the cry, and Jesus hasn’t given us any philosophy. Did you ever think of it? Jesus hasn’t given us any metaphysics. Jesus has given us the thing we wanted, and He has given it so we know it. You can outgrow—and you will outgrow—any philosophy, any system of metaphysics, any human religion, but you can’t outgrow God’s life imparted to you. Do you see it? You cannot outgrow real Christianity. It can’t be outgrown. I said, “He is not a Christian man.” Friends, I challenge you that no Christian ever received Jesus Christ and then went into a philosophical religion. I have never known it. If you could bring me one case—but you can’t—that is all. It is an impossibility unless the man’s mind had broken. Why? Well, I will tell you why. The moment I was born again and the great, mighty Holy Spirit came into my life, do you know I reached the ultimate right there? And there has been nothing that challenged me for one minute. I have read everything. I have listened to every man who had anything to offer. I never heard anything but words—beautiful words, yes, but they are just words of man. I have found God. Just so long as you are seeking, you haven’t found. You have found a great deal, but you have not found the “pearl of great price” (Matthew 13:46). Let me say to you, men and women, that as long as you are a seeker, you are not a finder. You may be seeking more of the thing that you have, but you are perfectly content with the kind and the quality and the thing that you have. You have found God. 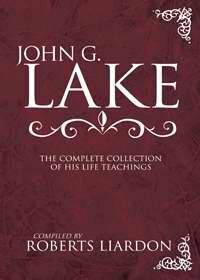 You may long to know your Father better, but that is altogether different than being a truth seeker. And I say to you tonight that the moment Jesus steps over the gunwales of your boat and into your life, you are there. Now, Christianity is life, not a religion. It is a real life and relationship. It is a union of God and man—not the masses, but the individual. He imparts to us His very nature, His very life. I am going to talk to you from another angle. Before we can fully grasp this, it is necessary to go over a little old ground. You see, man was created because God longed for children. God created the world as the habitation of His man, and then He created man in His own image, after His own likeness. (See Genesis 1:26–27.) Now, the object of man’s creation was that God might have children. He was child-hungry. You can understand that. God’s heart was the reason for man. What kind of a man would it be natural for Him to create if He created a man to be His child? He would create a man in His own class, in His own image, after His own likeness. That would be normal. Now, God is a Spirit, so then, man must be a spirit. He has a soul, intellect, affections, and will, but he lives in a body. You say, “What is His conscience?” Consciousness is the voice of man’s spirit. It is the spirit speaking. But you say, “Hasn’t man a subconscious mind?” No, that is psychological nonsense. The thing we call the subconscious mind is simply your own spirit, the real man. Jesus illustrated it. You are cognizant that there is something above your intellect. There is somebody that makes you think when you don’t want to. There is something above your reason that makes you think when you are tired. You can watch yourself, and, after a little while, the spirit will separate from your intellect and other faculties, so you will be cognizant of it. Your spirit is the mother of faith and the mother of love and the mother of hatred. Joy lives in your spirit. Happiness is in your mind. Happiness depends upon circumstances; joy depends upon God. Nobody has any joy but the spirit who is in fellowship with God. Let’s go a little farther. Man was created a spirit being. Why? So that God could impart to him His nature. Your spirit is the part of you that receives the nature of God. Your mind can’t know God. You cannot know God by study. If you could find God intellectually, you would find Him in the laboratory, but you can’t find God that way. Scientists have done a lot of loose talking about it. However, God is not known by the intellect but by the spirit. You know a lot of things that you cannot give a reason for. They are above your reasoning. Now, your spirit is the part of you that comes in touch with God. Your mind comes in touch with things intellectually. Your spirit is the part of you that comes in contact with God. Another angle is this: You people who are deeply spiritual have had contacts with God that were beyond your reason, and you could not explain it. Now, what part of man is born again? His spirit. That is the part of you that is “renewed after the image of Him that created him” (Colossians 3:10). The new birth is because you have come out of Satan’s family into God’s family; that is the new birth. There is nothing mysterious about it. It is just as simple as any other fact of human experience. I venture to say this: The new birth, receiving eternal life, can be classed among the certain sciences. It can be placed on scientific grounds. You do three things, and you will receive eternal life as sure as you sit in that chair. I don’t care whether you are at the Arctic Circle or the equator. Now, that is scientific. That is absolutely in the realm of science. Every scholar knows that. A thing is scientific when every single demonstration arrives at a single conclusion. Four plus four is eight. Nine plus nine is eighteen. That is scientific. You do three things, and you are born again as sure as God sits on the throne. That is scientific. I want to tell you that prayer is based on scientific grounds. I have found it out. That means have it in profusion; have it without stint or limitation. That staggers you. That is big. That brings us out into the open with it. “I am come that [you] might have life”—His life, God’s life, God’s nature. The Bible tells us in Ephesians 2:3 that we “were by nature the children of wrath.” It tells us in 2 Peter 1:4 that we become “partakers of the divine nature,” which is the biggest thing in the world. What is eternal life? It is the nature of God. Jesus brought that to me. Why didn’t God give it before Jesus came? Because God had no legal right to give it. In the first place, man was spiritually dead. He had committed high treason against God. It was necessary that God be vindicated and that man be redeemed. Eternal life, then, is the nature of God, and God gave it to man on legal grounds. That as sin hath reigned [as king] unto death, even so might grace reign through righteousness unto eternal life by Jesus Christ our Lord. It means that grace is based on righteousness. When God wanted to give eternal life to man, He did it on legal grounds. Had God given eternal life on any other basis, it would not be God doing it, because God is just and righteous. If God had said, “Now, I pity the human race; I am sorry for them. I am going to give them eternal life,” you could not trust Him any more than you can the devil. But when Jesus died, He paid the penalty of man’s transgression. Then God could legitimately and justly give eternal life to man. God had a right to give eternal life because He purchased it with His Son’s blood. The supreme court of the universe has endorsed Jesus’ death and substitutionary sacrifice and accepted it. Then, God had a right to give eternal life to us. It is the greatest blessing that ever came to man. We know we have passed from death unto life. What is God’s nature? It is love. Then, what is the normal thing for me to do? It is to live. The moment He gives it to me, I become a “liver.” “We know that we have passed from death unto life, because we love the brethren” (1 John 3:14). Everyone who does not love is not born again. There is the touchstone. The moment that you are born again is the moment that the nature and life of God come into your spirit. What action [effect] does that have on your intellect? That is the greatest fact of the biological study. You take a young fellow sixteen or seventeen years of age, and he has a chum about the same years. They are in the same class in school. They have made the same grades from kindergarten up, and as far as you can see, they are just the same. Now, one of them receives eternal life—he is born again—and he has proper instructions at home and in his church. In three months’ time, the boy who has received eternal life will be ten percent more effective than his chum. He is from ten to twenty percent more efficient than the boy who has not been born again, and he will hold that ratio if he walks with God. Why shouldn’t it be? Three things happen. First, he has received God’s nature, and that is reacting on his intellect. That ought to help him some. Second, he has no condemnation. That is gone. And the third thing, he has somebody to rest him all the time. He depends on the strength of another. The other boy can’t do it. Now, I want to carry you a step beyond this. You know, men and women, that the children who are born to a Christian man and a Christian woman are mentally of a higher order, and they are a finer texture morally than those born of the unsaved. I have proved that beyond a shadow of a doubt. Another startling thing is this: Take a man and a woman who are not Christians. They have two or three children. Then they are born again, and they have three more children. The last three are mentally superior to the first three. They are more easily managed, and they are more beautiful. Gentlemen, if this was taught in our colleges, ninety percent of our young men and women in our colleges would become Christians. Every intelligent young woman wants to raise the highest quality of children possible, as well as do the high-minded type of young men. What man looks forward to raising children who are mentally below what they should be? Every real man wants to give his child the very finest and the best. I have statistics to prove that out of the four hundred great businesses in the United States, like the sugar and lumber trusts, thirty percent of the men who are managing the greatest industries are sons of clergymen. Out of four hundred, one hundred twenty are the sons of clergymen who are directing the great business enterprises. Twenty-five percent are the sons of bankers and lawyers, etc., but the sons of clergymen make up thirty percent. Clergymen’s children have the hardest opportunity of any, because the average minister doesn’t stay but about seventeen months in one place until he moves. His children are pulled out of school continually, and yet they outstrip all the other boys combined. Why? Because the average old-fashioned preacher was born again, and his children grew up in a godly home. Did you know, men and women, that men like William Jennings Bryant, Beveridge, and others that have given the best things we have had for sixty years, are the sons of Christian men? Did you know that the editors, like the editor of the Saturday Evening Post, the Ladies Home Journal, and the other great papers of this country, are all ministers’ sons? They are not all Christians, but their fathers and mothers had eternal life and that eternal life reacted in these children. I want to tell you that Christianity is not a religion. Christianity is the life of God coming into a man. This is the biggest thing you ever faced in your life, gentlemen. I could pour statistics on you that would carry you off your feet. I know, gentlemen, that Christianity is the life of God in a man. And the greatest crime that is ever committed against our children is to take Jesus away from them. A father who will not give his children Jesus is a criminal in the sight of God and thinking men and women. Listen, men. Out on our prairies, we raise hogs and cattle and sheep for the eastern market. In our homes, we raise children for the devil. “I don’t think it is a fair deal that God would damn my boy.” You never gave God a square deal. The biggest thing in all the world is man’s union with Deity. I am not preaching religion. I have come down to brass tacks in this thing. This is the biggest thing you ever faced in your life. There are two things that are as natural as breathing: faith and unbelief. Unbelief comes from ignorance, and faith comes from the Word of God. Faith is the normal thing in life. Everything in life is based on faith. You came here tonight believing that you would get back home. You buy a suit of clothes believing that they will meet your need. You marry on faith. You put your money in the bank on faith. Everything about your life is based on faith. Every human relationship is a faith relationship. You have been acting on faith all your life. You say you haven’t the faculty? You mean you have got a disobedient complex. What does God ask? Just this: “If you will take My Son as Savior and confess to the world His Lordship, I will give you eternal life.” Isn’t that the simplest thing you ever heard in your life? “If you will take My Son to be your Savior and confess Him before the world as your Lord, I will give you eternal life.” That is the easiest thing in the world. Do you believe that Jesus died and rose for you? Yes. Next, do you take Him as your Savior? Yes. Will you confess Him to the world? Yes. And as sure as you do it, I will stake my life and everything I have in this world that God will not break His Word. If you will take Jesus Christ as your Savior, and confess Him as Lord, God will give you eternal life. Someone says, “I don’t know whether I have it or not.” If you have it, you absolutely know you have. Don’t pretend you have it when you don’t know. But if you haven’t it, you can have it where you are tonight, and you say, “The first chance I get, I will confess Him as Lord.” If you do, God will give you eternal life. You can go to the altar if you like, but there is only one thing you have to do, take Him as your Savior and confess Him as your Lord, and God will take you to be His child. I have seen thousands upon thousands settle the issue.